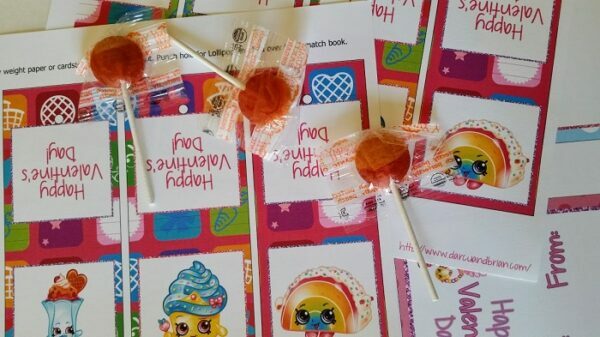 Looking for a cute and easy Valentine's Day treat for kids? 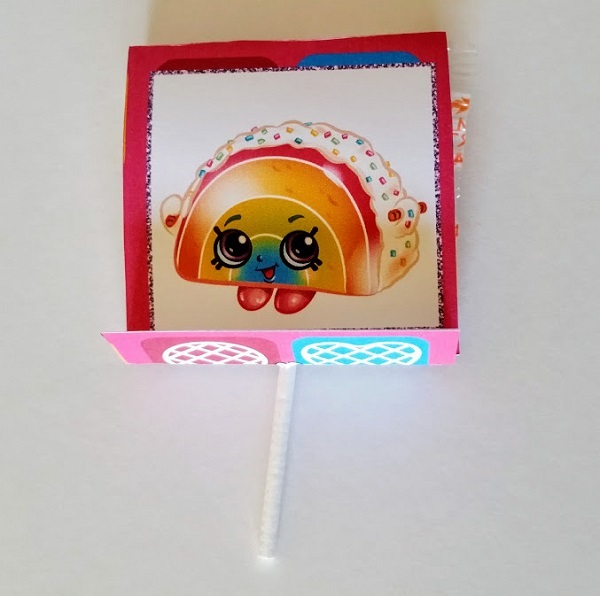 Get these Shopkins theme lollipop covers to make sweet classroom valentines! The first time my daughter exchanged valentines at school, she got so excited. She was in preschool and loved everything about it – decorating a Valentine's Day box, giving valentine cards to her classmates, and looking through the ones she received. She especially loved the valentines that included something extra – stickers, pencils, candy, etc. 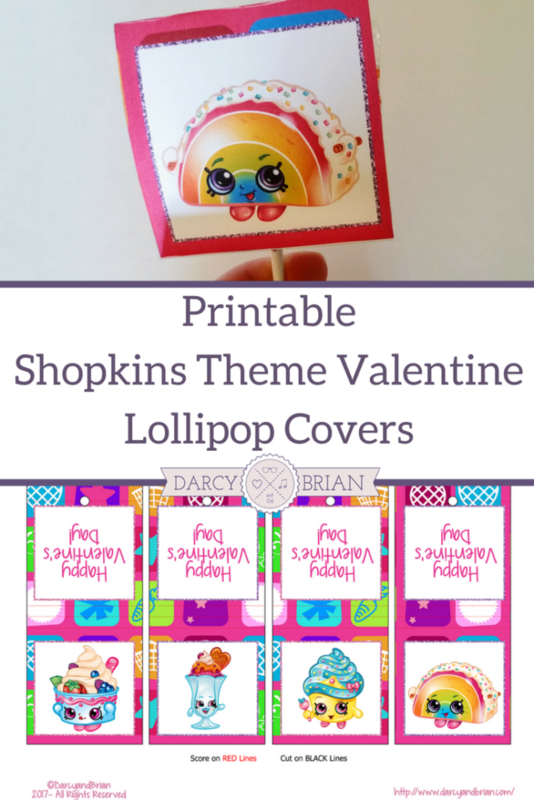 These printable Shopkins Valentine Lollipop Covers are the perfect addition to a Valentine's Day party for kids. They can be given out as valentines or be a sweet extra to a Valentine card. Subscribe to get our Shopkins Valentine Lollipop Covers. 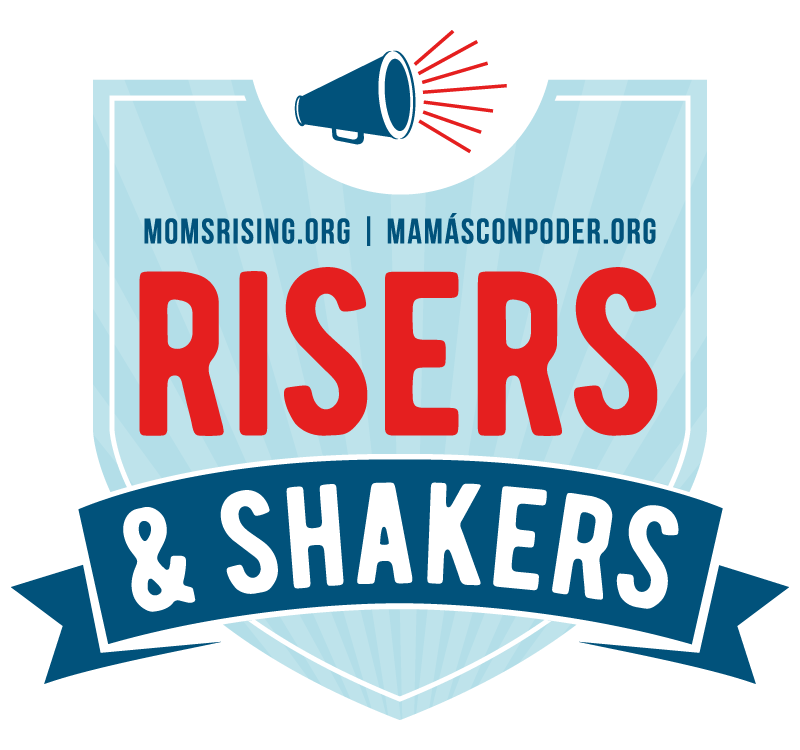 You'll also get access to our latest printables and weekly updates by email. Success! Now check your email to confirm your subscription and download your printables. 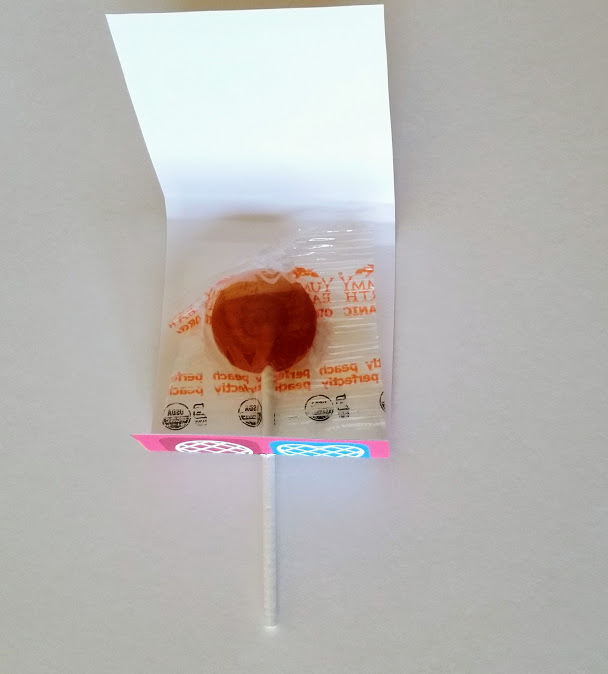 We love using YumEarth lollipops because they are free of the top eight allergens. We do our best to give out allergy-friendly treats and candy at school. These fit well inside the lollipop covers, but you can use any suckers. 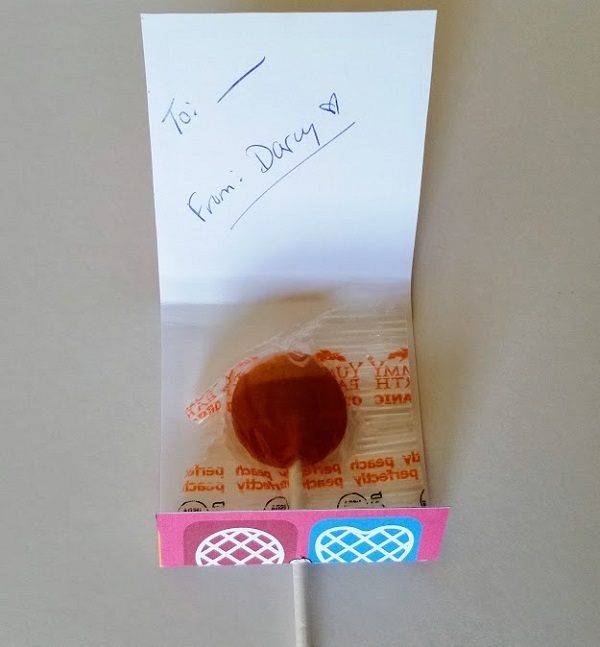 After you download your printable lollipop covers, print them out. They print nicely on card stock paper. Next, cut the lollipop covers out along the black lines. Depending on class size, you may want to assist with cutting these out so your kid doesn't get too bored. Otherwise, these do provide scissor practice for kindergartners. After cutting them out, score lightly along the red lines. You can use your scissors or an X-ACTO knife. This will also depend on how heavy your card stock paper is. Thicker paper will need to be scored to bend and fold easier. If your paper is easy enough to fold a nice line, then you can skip scoring the lines. Then use a hole punch on the black circle. Slide the sucker stick through the hole and fold the lollipop cover over and around like a matchbook. If you would like, you can write a note inside the cover! 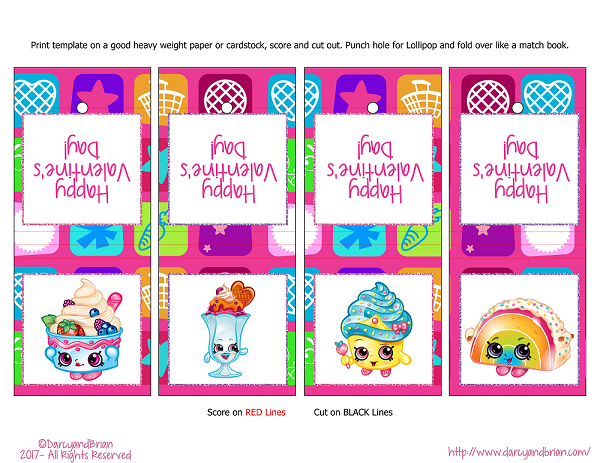 Make preparing for your child's classroom party easier with these printable Shopkins theme lollipop covers for Valentine's Day. They are a cute and easy way to dress up suckers. We hope your little Shopkins fans enjoy these!